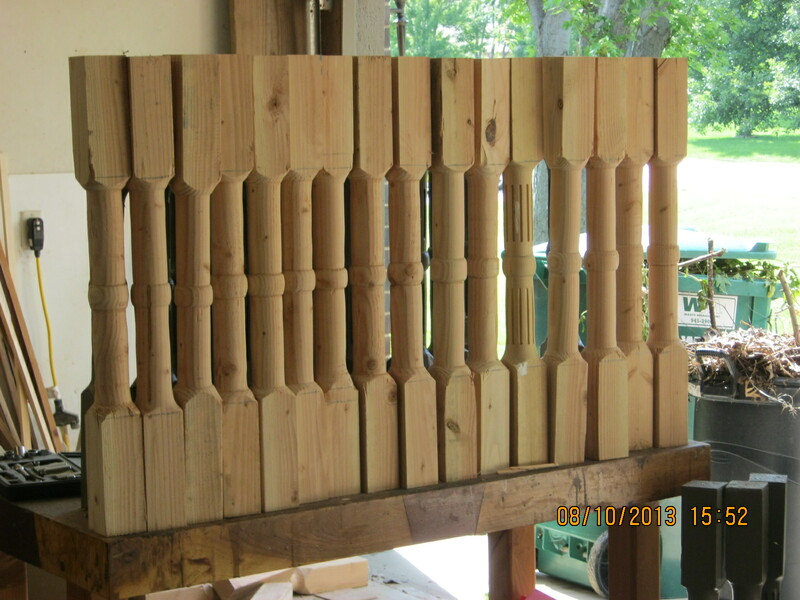 I have started the next batch of porch posts. 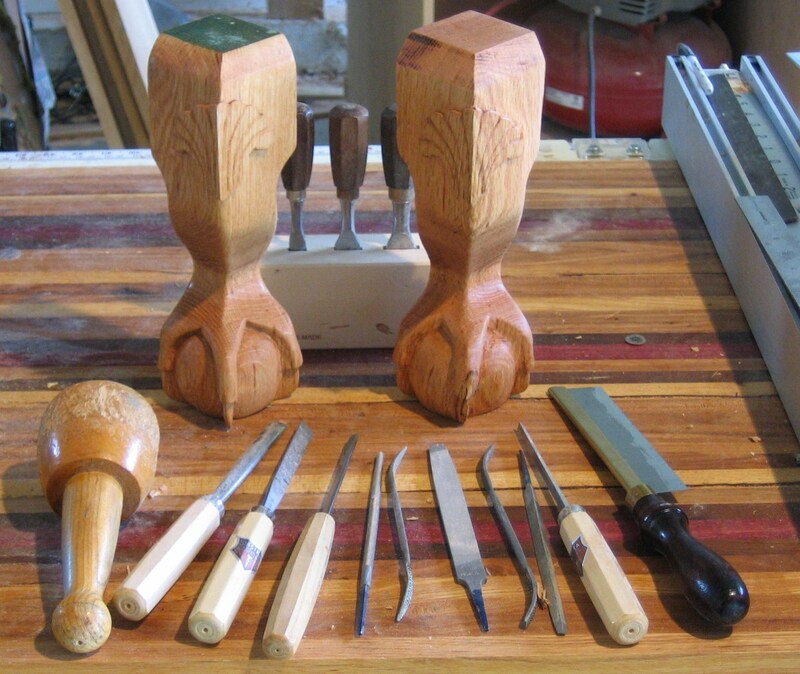 This time I am using my Skew chisel. 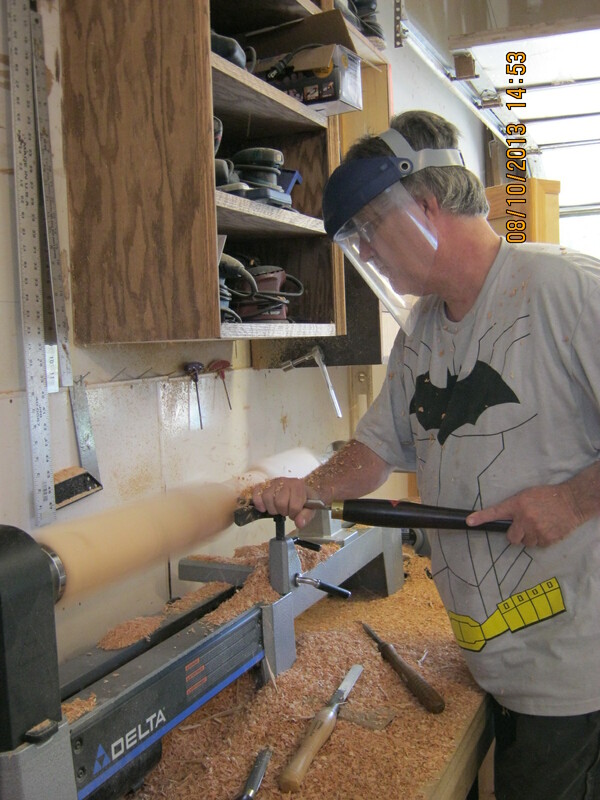 This chisel makes it much easier to keep the diameter of the post consistent. Tomorrow I will be ready to flute these, then I will let my painter start painting. This is another project that is taking longer than it should , I want to thank my brother for his patience, he is waiting on me for another project and also helping me start my videos for the blog. Thanks Mike!!! 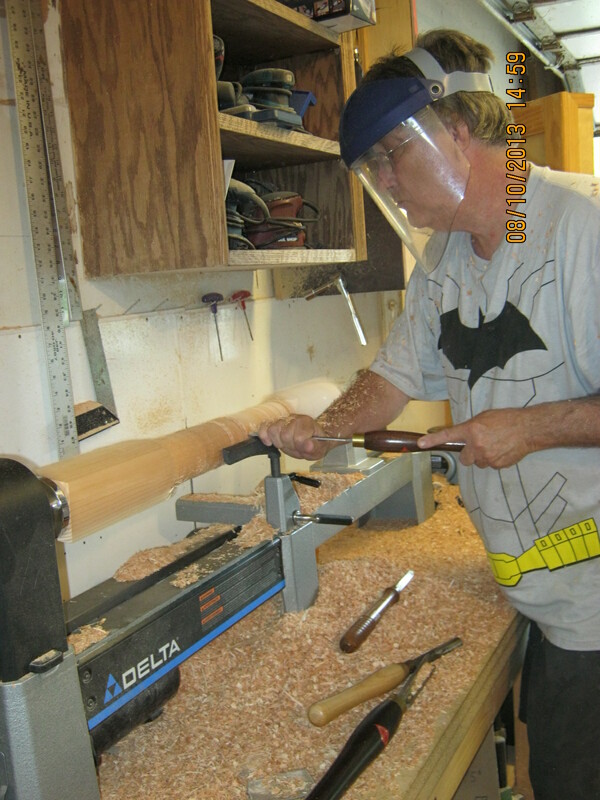 My Grandson would say the posts are awesome papa because you are wearing your Batman t-shirt while turning them. In the last picture, the third post from the left is from the first batch, also the fifth one from the right that is fluted. 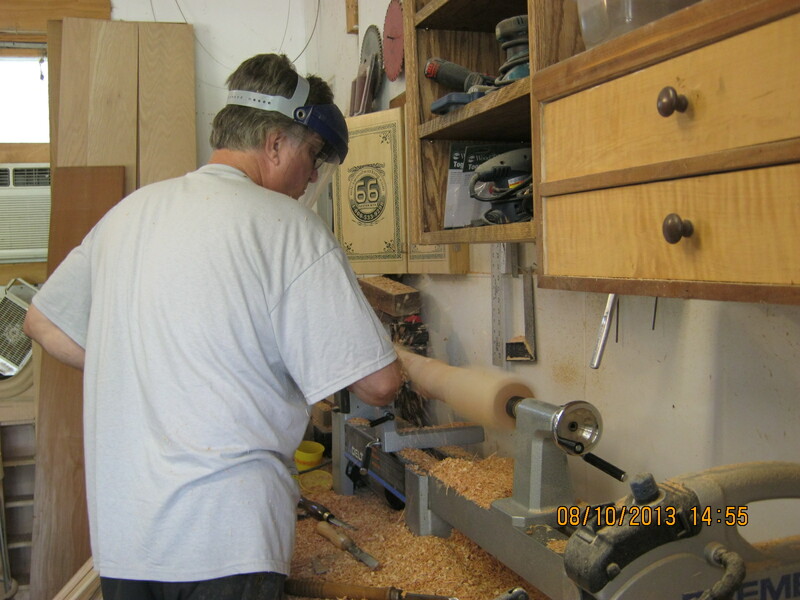 This entry was posted on August 10, 2013 by Crabtree Woodworks in Handmade wood furniture and tagged Art, bookshelf, bookshelves, Chest of Drawers, china cabinet, cross cut, curio, Desk, Dovetail joinery, drawer, Dresser, Fine Woodworking, Furniture, Hand Made Furniture, handmade furniture, home remodeling, hutch, Incra, library, library ladder, mortise and tenon, newel post, picture frame, Popular Woodworking, porch post, quilt, Quilt Case, Quilt Display, quilt making, quilting, quilts, secretary desk, table saw sled, Victorian Furniture, Victorian home, Vintage Decor, Walnut, Wichita, Wood carving, wood lathe, Woodcraft, Woodworking, Woodworking Plans, Woodworking Projects, workbench.